Some garden volunteers are crops, such as tomatoes and ground cherries that reseed themselves. Even more interesting volunteers may be mistaken for weeds. Here are a few we enjoy allowing to grow, then picking to eat. 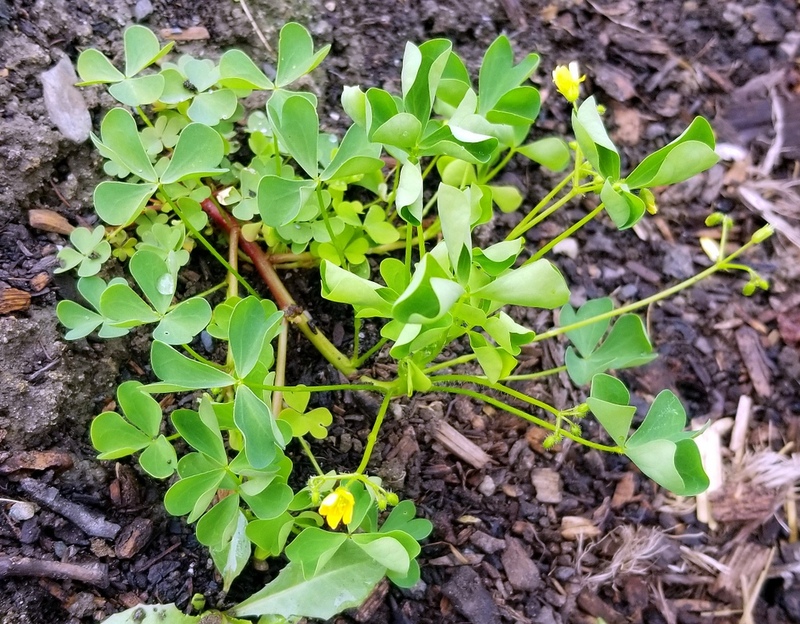 Lemony wood sorrel has shallow roots and grows well with nearly every crop it appears beside. This is an edible that people remember noshing on as children when they found it growing on the lawn. 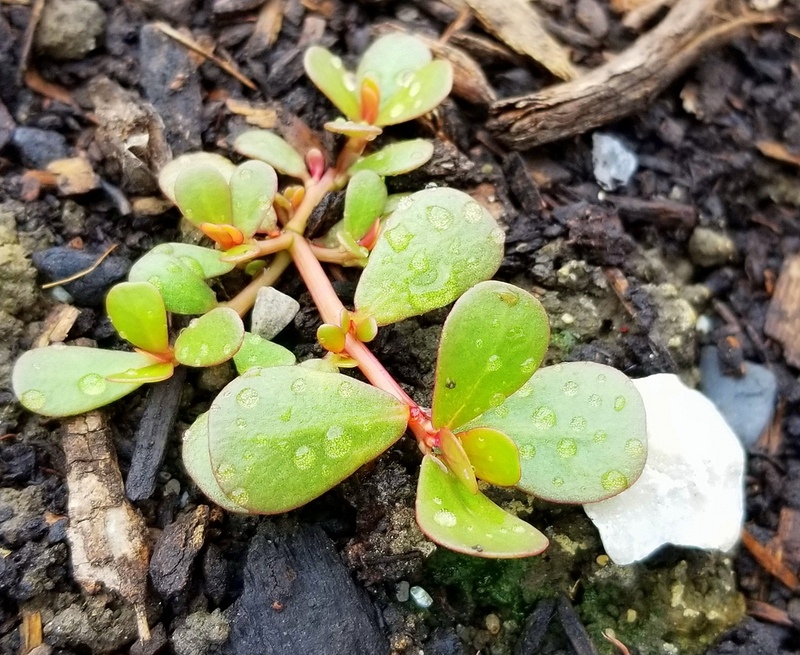 Delicious, succulent purslane is great in salads or on its own. Holistic health physician Andrew Weil, M.D., sings the praises of purslane’s nutritional value, including having very high levels of omega-3 fatty acids, beta-carotene, vitamins A, E, B-complex, and C, iron, magnesium, calcium, potassium, manganese, and even melatonin. However, it is high in oxalates, so people prone to kidney stones should take note. We grew purslane in one of our salad boxes from seed that High Mowing Organic Seed donated to the garden. Delicious! 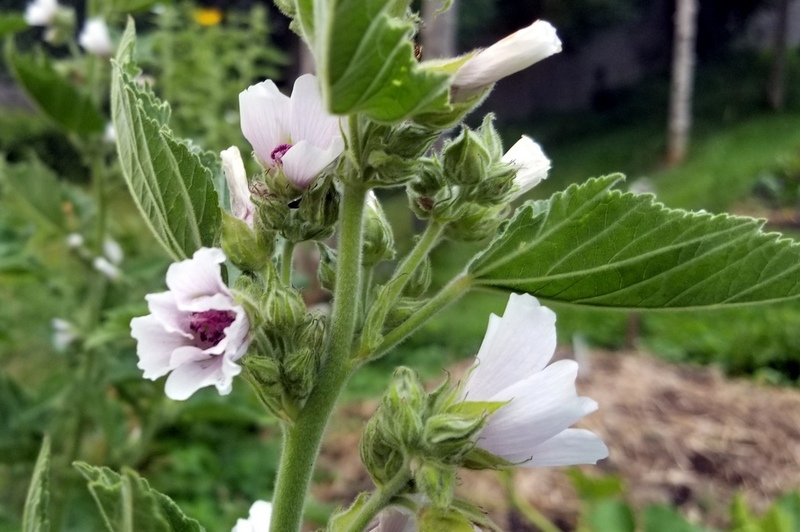 This beautiful mallow grows near our winter squash. We think it’s left over from when that plot was a medicinal herb garden for the garden’s first two seasons. 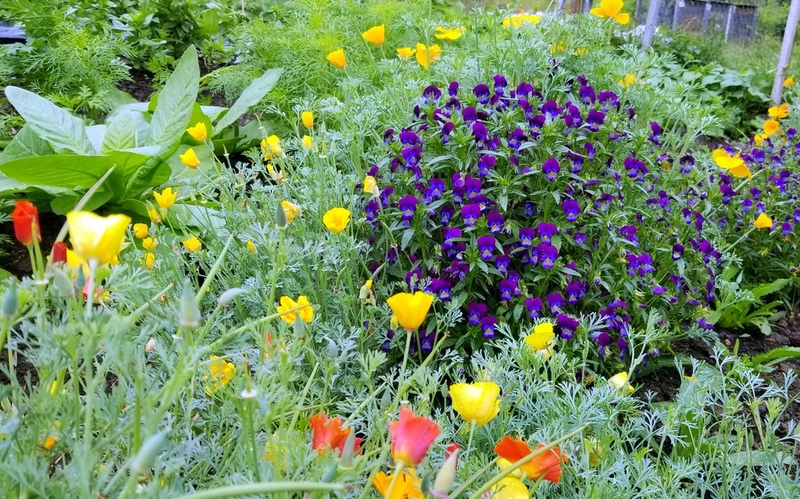 California poppies and pansies were kind enough to return from last year’s planting. Shasta daisy will be taking an encore here, too.